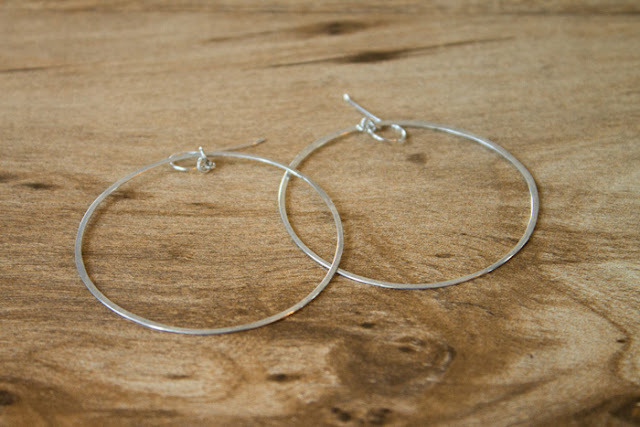 Sterling silver jewelry is my favourite kind to wear. But in the past I avoided buying it because I hated that it tarnished. Because I didn’t know how to clean silver well enough to bring it back to its former pristine condition, I would just chuck it aside and never wear it again. Then I discovered a simple, safe, and effective method for cleaning sterling silver. 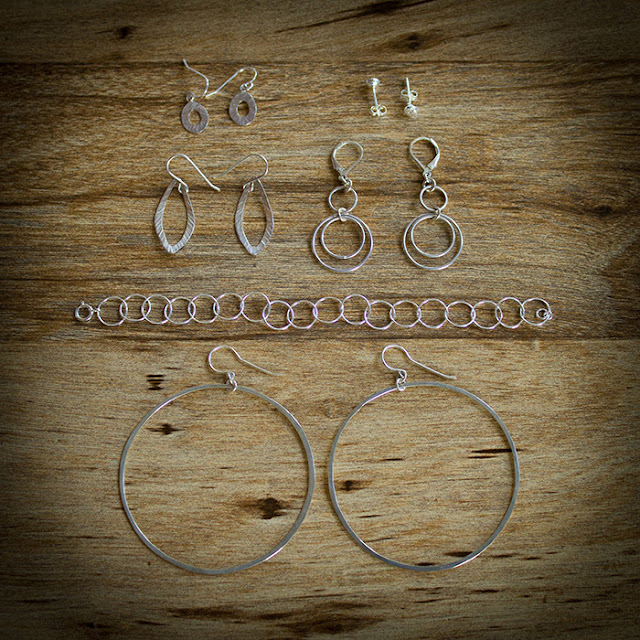 So now I have no qualms about buying and enjoying silver jewelry. Here’s a pair of earrings that had tarnished and needed cleaning. See how fast and easy it is to get them looking perfect again using the method described below. 1. Bring to boil enough water to fill about half the bowl. 2. Line the bottom of the pan with the piece of aluminum foil. 3. 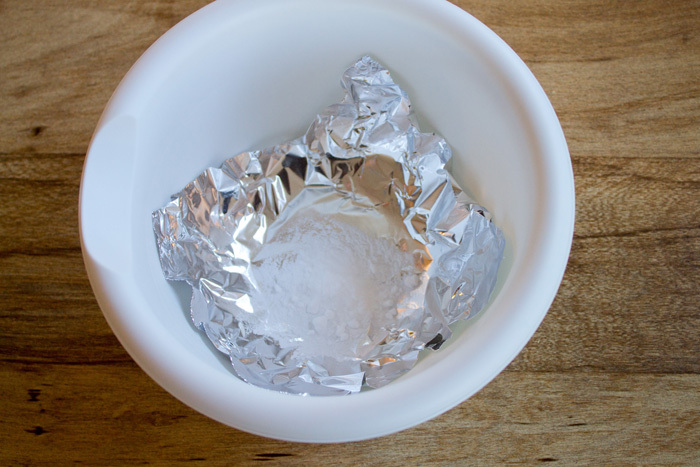 Place a heaping teaspoon of baking soda on the foil, and fill the bowl with water (about halfway is fine). 4. 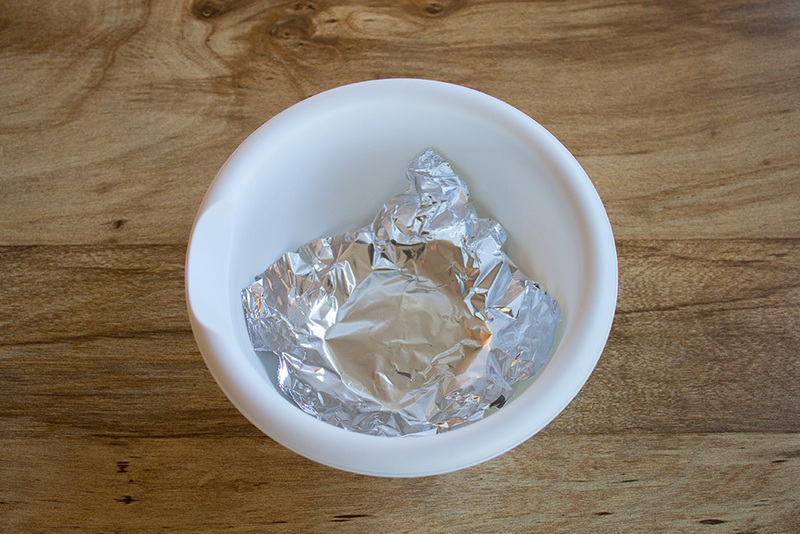 Drop your jewelry into the bowl, making sure it touches the foil. Water will start to fizz and there will be a slight sulfurous odour. 5. Leave the jewelry in for about one minute. Then fish it out with a chopstick or plastic utensil and wipe dry with a piece of soft cloth or kleenex. Looks brand new, doesn’ it? Now this method of cleaning also works for other items made out of sterling silver such as wire baskets, silverware, and any other housewares made out of silver. What I love about this way of cleaning is that you can do it with items you readily have in your home. 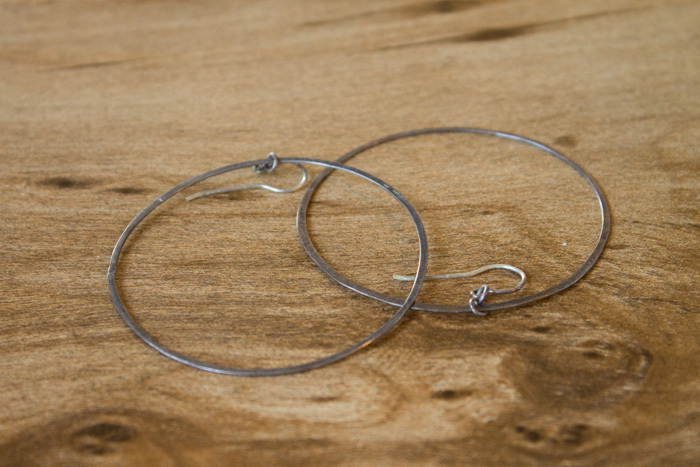 It doesn’t require buying jewelry cleaners and other nonsense. 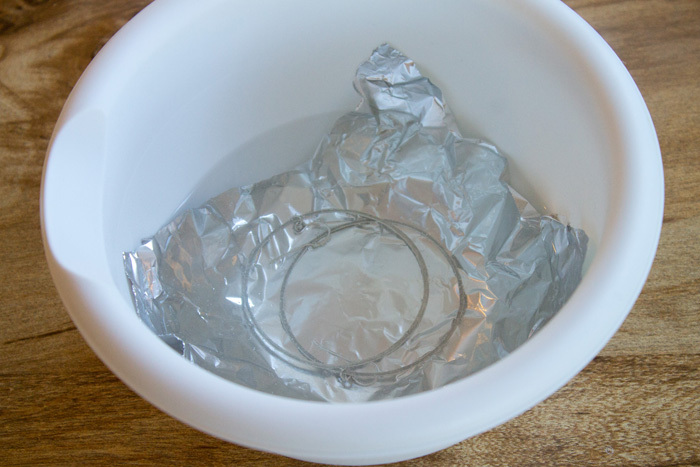 Plus, this method won’t damage the silver and it’s super quick and easy! One last tip: in order to prevent your silver from tarnishing make sure to store it enclosed in a box when not in use. Oxygen is the enemy of silver! It’s what causes silver to tarnish. I love this! I hate using chemicals and I can’t tell you how excited I am to try this. I wear silver too and sometimes it gets a bit dreary. Have a great weekend! Thanks Julie! I’d love to know how it goes for you when you try it. wow looks so easy. will definitely have to try this. It is VERY easy. I can’t recommend it enough. When you try it, let me know how it goes!